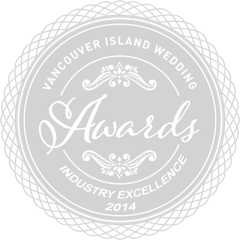 The Bride’s Closet was named the 2014 Wedding Industry Excellence Award Winner at the Vancouver Island Wedding Awards. This is awarded to the recipient of the most nominations received. 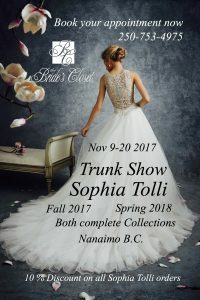 The nominations are from the wedding vendors from all over Vancouver Island. It is an incredible honor to have this Excellence in the Industry Award as it is chosen by our peers in the wedding professional community. We are amazed and overwhelmed at this unexpected honor! Thanks for the recognition! For a relaxed, friendly and pleasurable bridal shopping experience be sure to come and visit us. Book your appointment soon and have a fitting room reserved.